My love for the Hawaiian island runs deep. It use to be my go to playground back in the day before my son was in the picture. Remember back before marriage, a mortgage, kiddos? 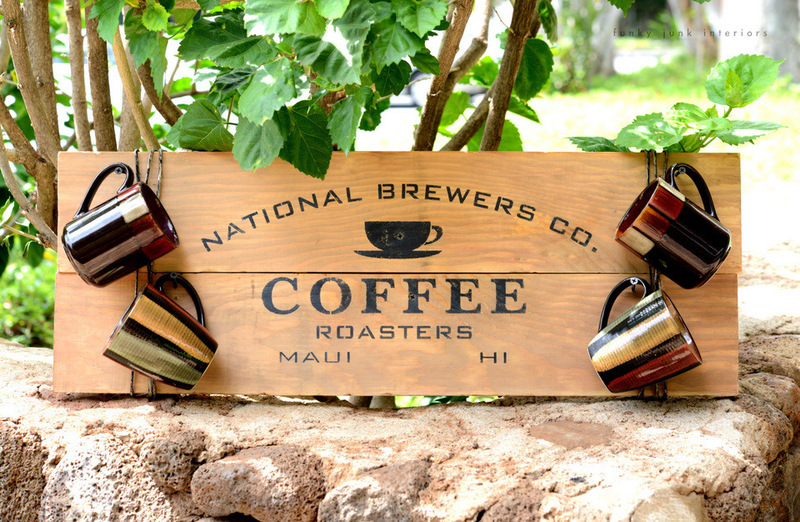 So when I created my National coffee stencil, my first draft was to use Maui in the description in order to honour my love for the islands. You can see my first project HERE. 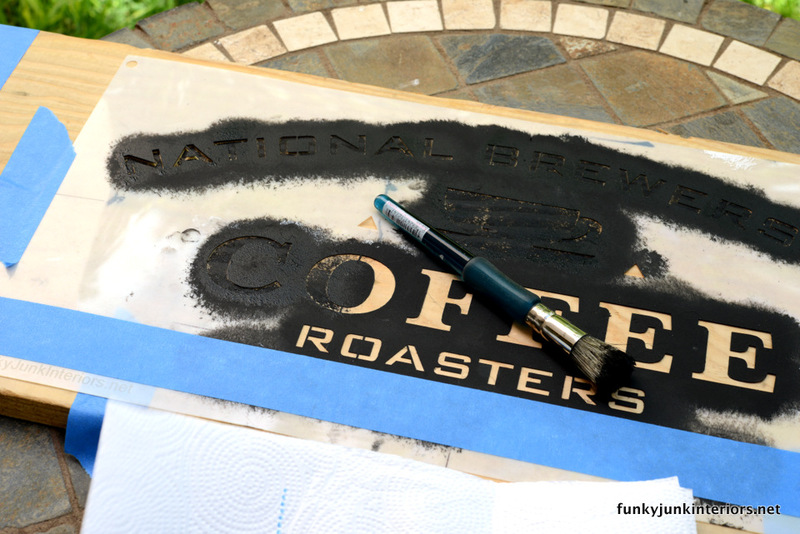 With this most recent run into Maui, I brought my coffee stencil along in case my little plan worked.. and it did! 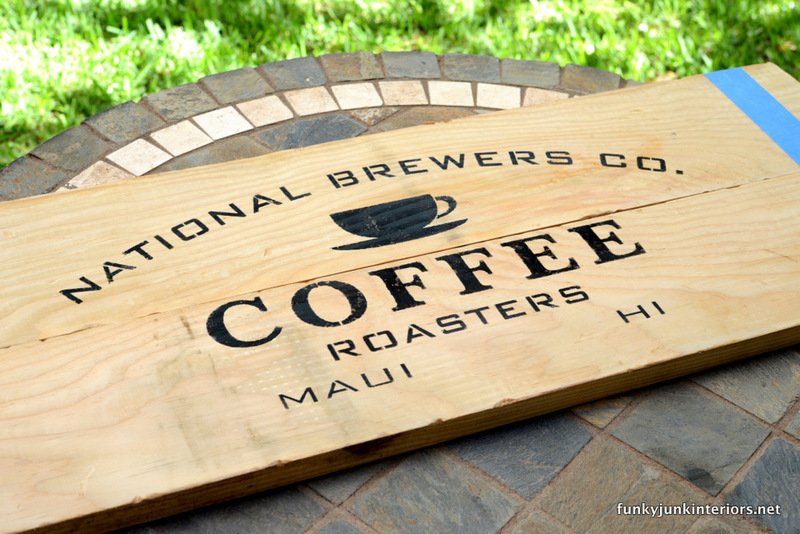 Finally, my Maui sign is officially made in Maui, for Maui! The condo owner where we are staying is a friend of our family, and before we came, I asked if she’d be cool with me making something for the condo. She loved my samples and gave me the full blown go ahead. Yay! 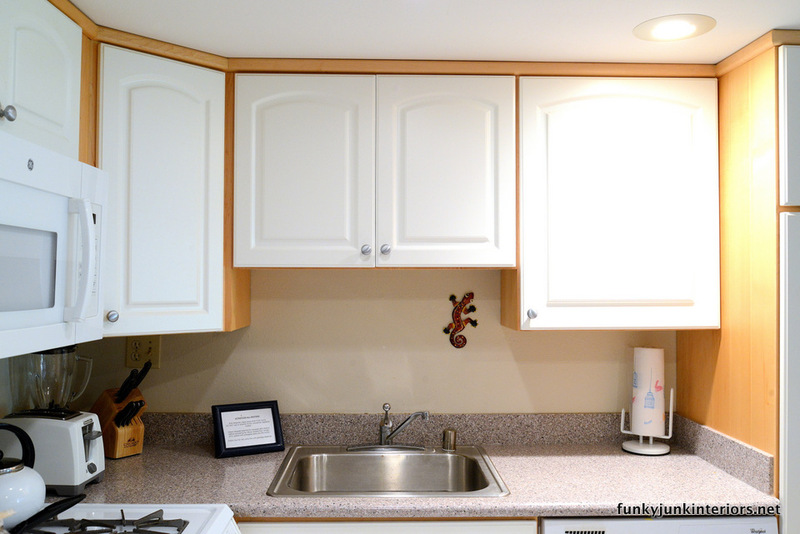 Here’s the bright, happy kitchen. 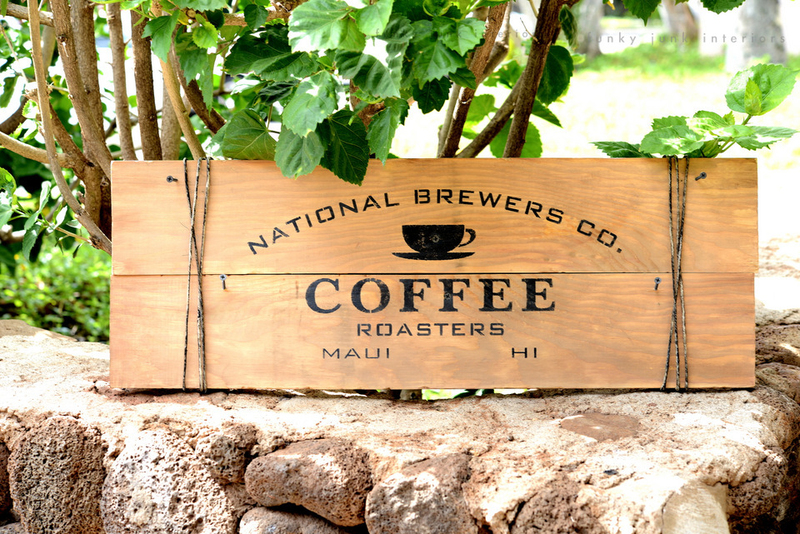 With white cupboards lined with natural wood, I knew my little crate styled sign would work just right! 1. 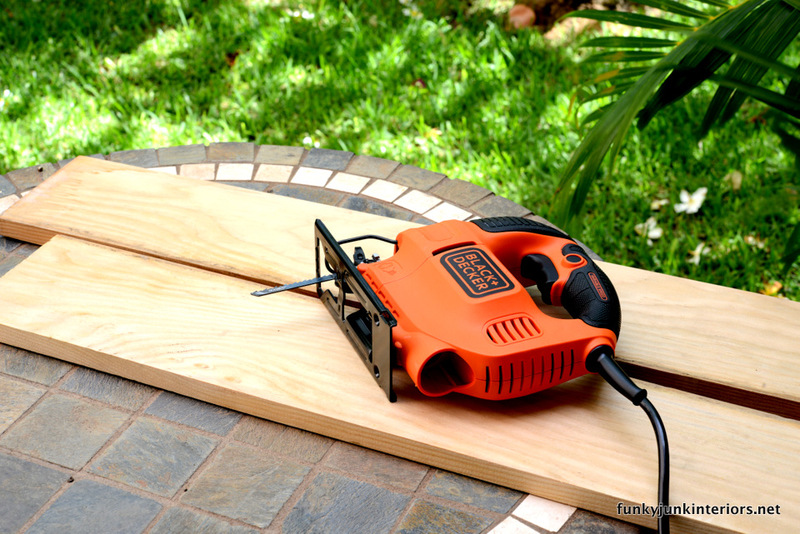 Cut wood planks to size. One afternoon I head to the local Home Depot, and picked up a few new planks. While my first option is always working with reclaimed wood, termites are a real issue here, so I played it safe and purchased treated planks. I had them cut some 10 footers in half so I could get them in the car. Picking up a cheap jigsaw was just enough to make a middle cut I desired once I got back home. 2. 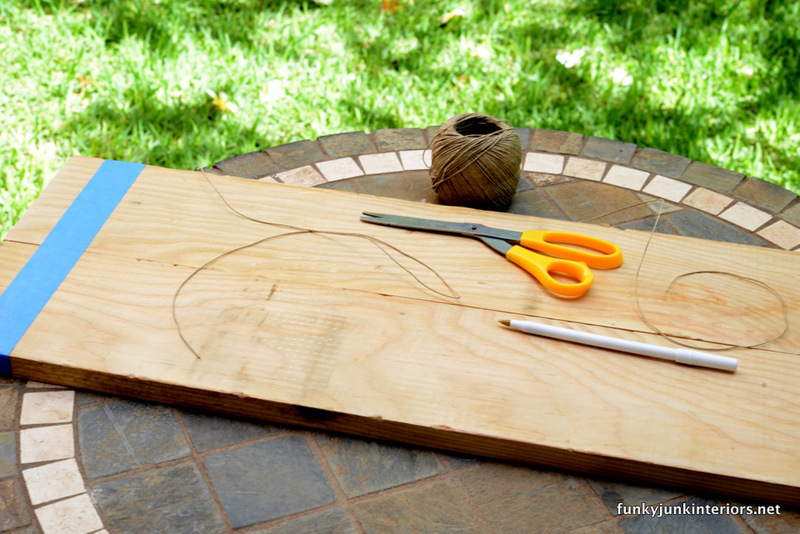 Bind them together with masking tape. 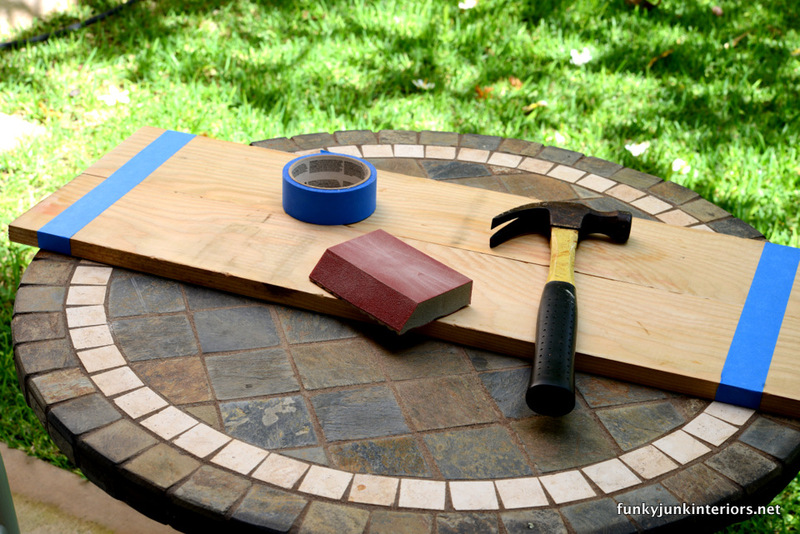 The two planks were masking taped together for stability. 3. Mark out the middle. I couldn’t locate a tape measure (at first), so I used a piece of twine, and folded it in half to measure out the centre. 4. Place masking tape underneath registration marks, then ink in triangles. 5. Tape over text you don’t wish to stencil. 6. Stencil image by pouncing a very dry brush. 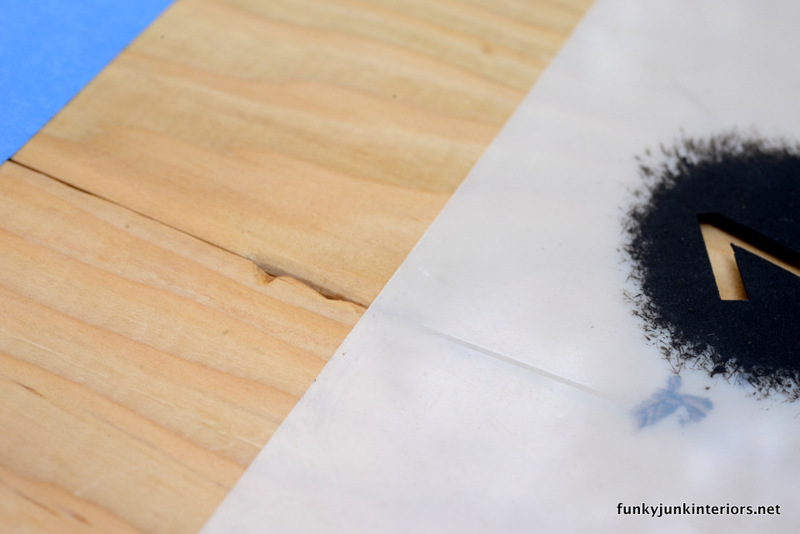 Using a very DRY brush, transfer paint into the wood surface by tapping up and down. 7. 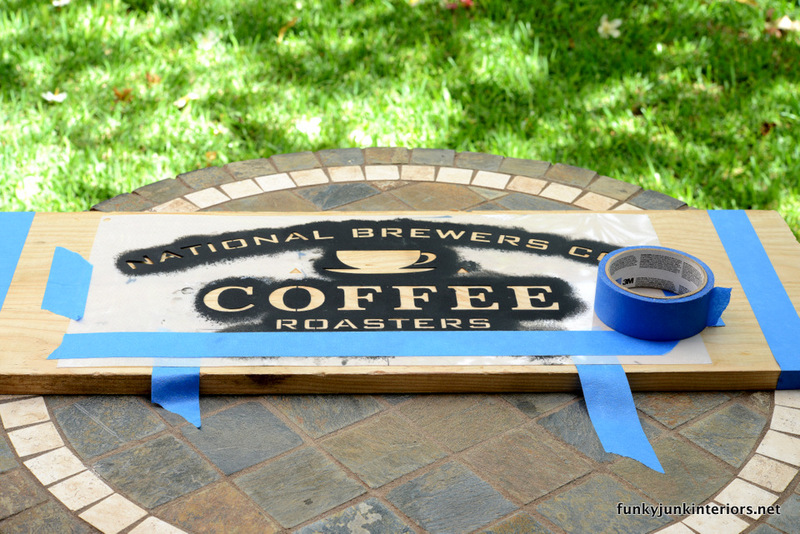 Lift large coffee stencil, then place the Maui partition in place, and stencil. Perfect! 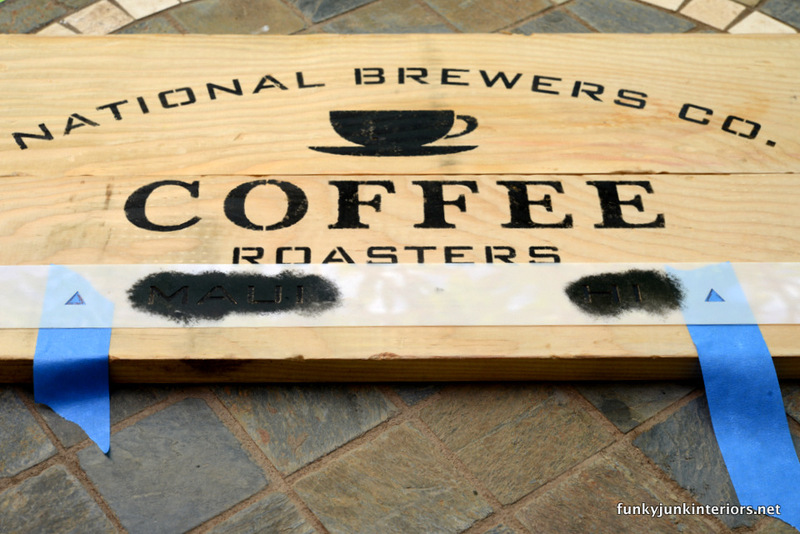 Not shown as I did this next part at night… I used a very watered down brown to lightly stain the wood, giving it a bit of a wash. Then used a wood wax to bring out the depth. 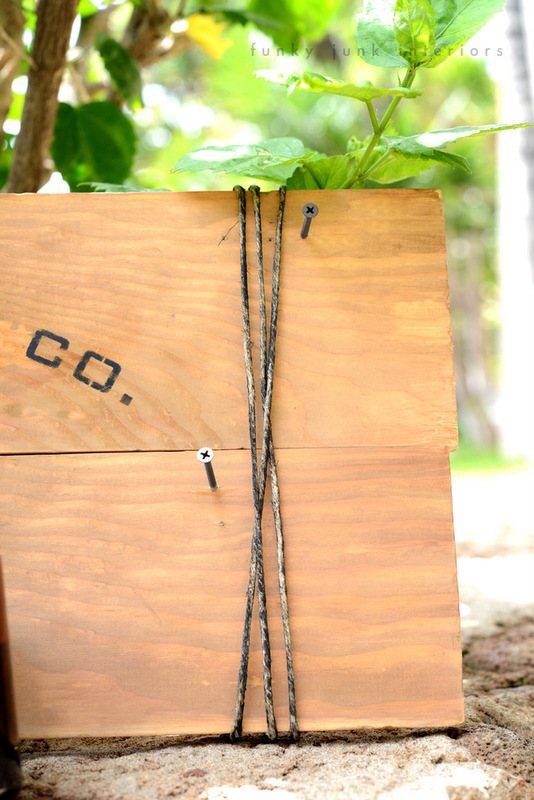 Before the sign was mounted, black painted twine was wrapped around each side for a little extra style for when the cups weren’t hung. And here’s the little Hawaiian trademark gecko addition. 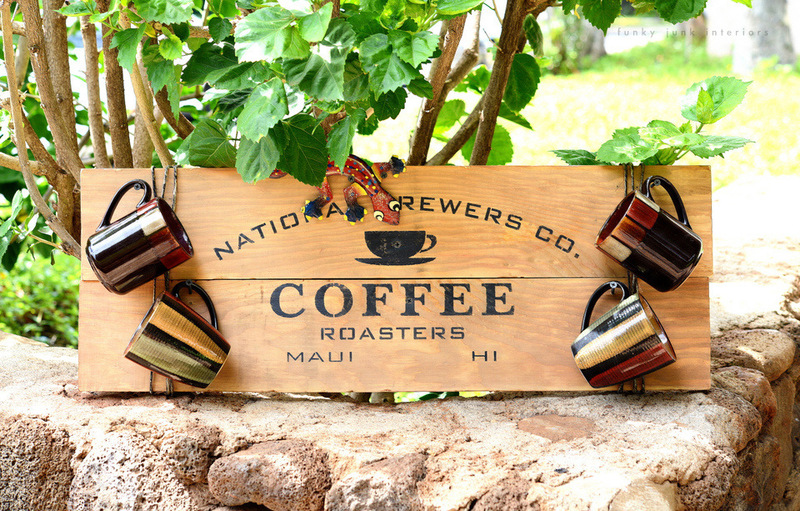 Welcome home, maui coffee sign! Edited to add: For installation, I screwed the sign boards directly to the wall. No glue was used. 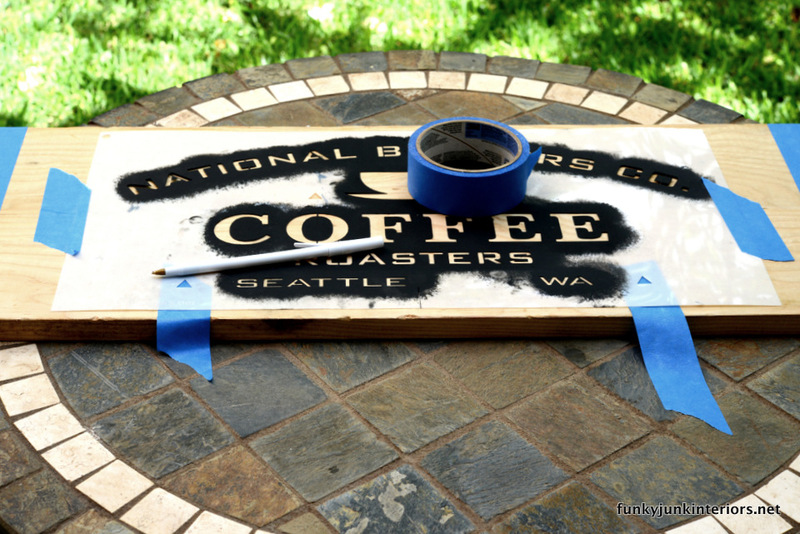 You can find the coffee stencil HERE. 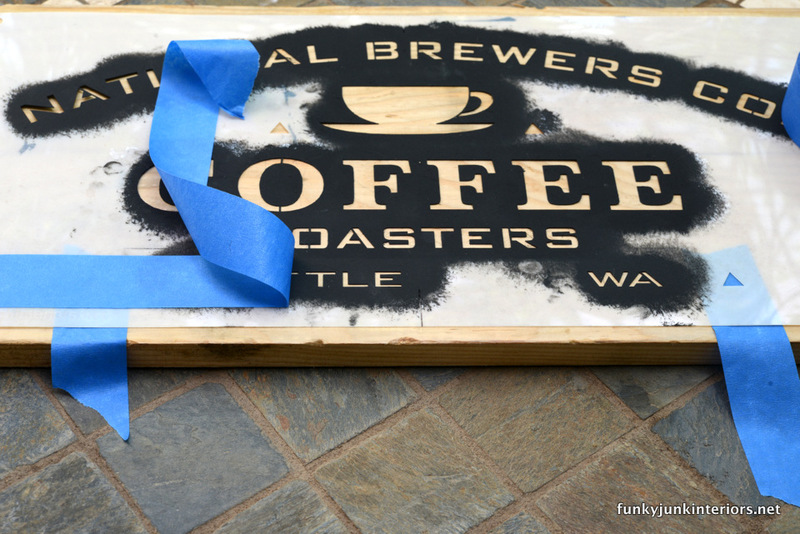 Visit other projects made with Old Sign Stencils HERE. Donna, what a great sign! 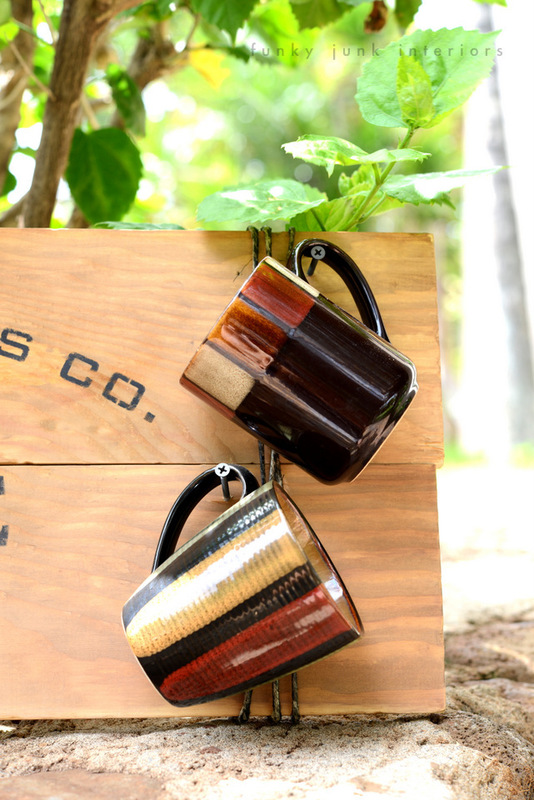 Such a nice gift for your friends. Maybe I missed it, did you glue the pieces of wood together before binding them with the tape? I screwed the boards as is direct to the wall. No glue used. Being that the walls were cinderblock made it tricky. But most don’t have to worry about that, so whatever you do will be much easier! Good morning! Love the coffee sign, however, there are a lot of quilters out here. How about a stencil for us? Hi Maxine, I LOVE the idea of incorporating crafting / talents. I’ll put that on the list, thank-you for your idea! Wonderful. Asking same as Jann…. I’ve since added the install instructions to the post. Whoops! 🙂 I screwed the sign boards directly into the wall. No glue, nothing fancy! Thanks for sharing that wonderful sign! 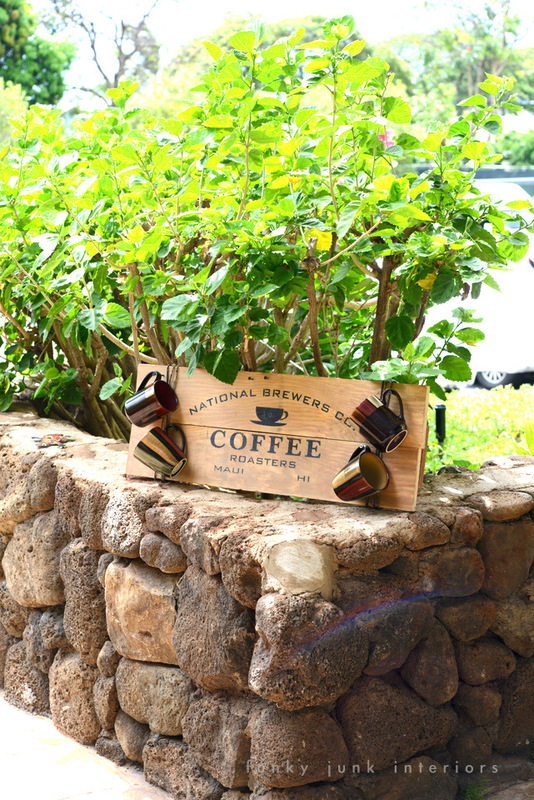 My husband and I have been to Kona and loved the coffee there. 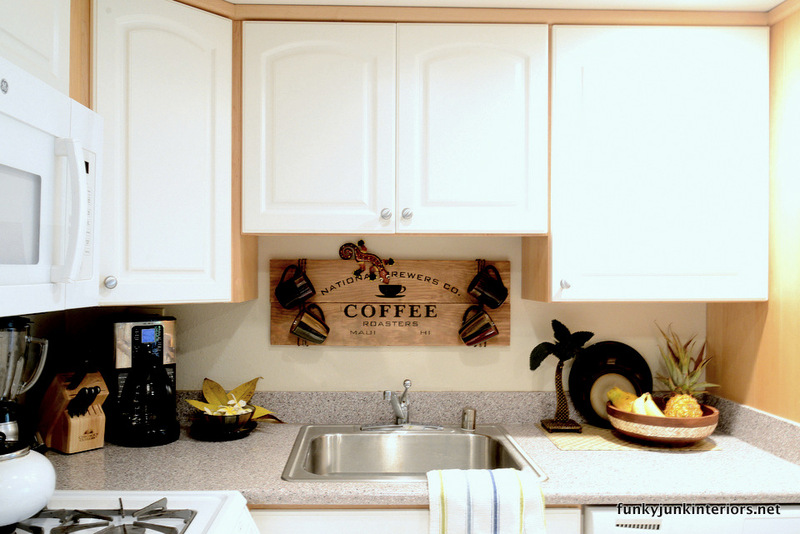 I need to make that sign using Kona HI for my kitchen! I am currently changing colors in our Tennessee Cape Cod cottage to lighter and happier colors. And adding a few coastal décor accessories but not over the top. I think a sign like that would bring back happy memories! Hi Marianna, I feel the same way. I want to go home and lighten things up after being here in bright, sunny conditions for so long. I can’t wait to grab some lighter paint and get to work! I love this! Especially that you added Maui to the stencil. I plan to take in a friend’s garage sale while here though so watch for that one… it should be fun! I’m so happy that you’re getting to enjoy this experience! I’ll watch for the garage sale too. You can take a girl out of her shop but you can’t take the shop out of that girl!! Beautiful sign! Oh Anne, I was SO HAPPY when I was given the okay to make stuff here. From the lanai makeover to a couple of projects, it’s really felt like we moved here, even if just for the summer. 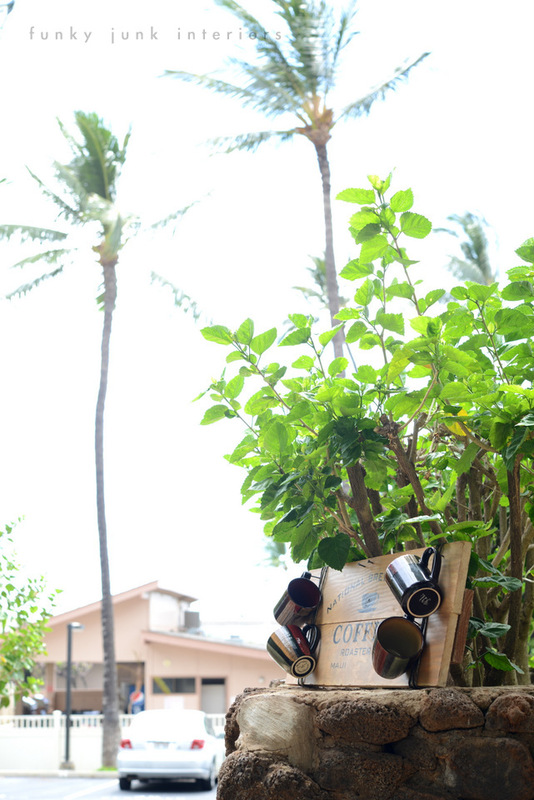 Oh, your friends are going to LOVE that sign…how thoughtful of you to switch out Seattle for Maui! The cute gecko is a nice, touch, as well! Can you please come stay at my house and make a sign for me, too? 🙂 Enjoy the rest of this blissful stay in Maui! Oh, it’s not very exotic at all, but how would a sleepy little town in Southern Ontario strike ya? No? hehe! You always come up with such great ideas. 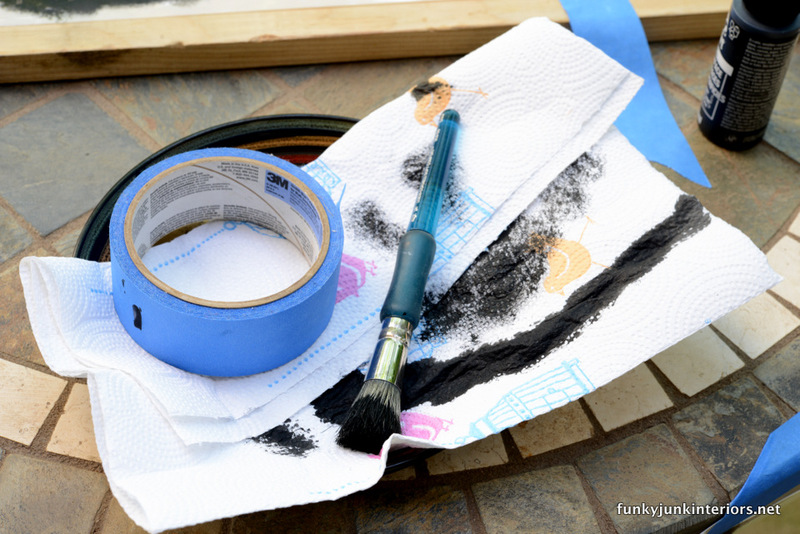 And I so appreciate your step by step photos, though I got nervous seeing that ink and brush on that table. I wanted to put plastic or newspaper under the sign so I could quit holding my breath. But you are a pro and know what you are doing. 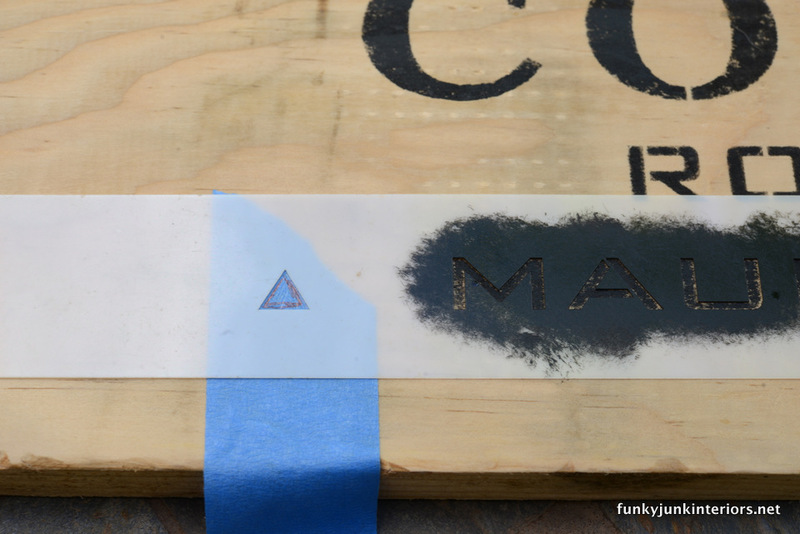 Where did you find the stencil for Maui…I must have missed that part. And don’t you worry, I was very careful. I pretty things up some for pictures, but protect more off camera lens. I plan to post more Maui, so stay tuned! Glad you’re enjoying it! 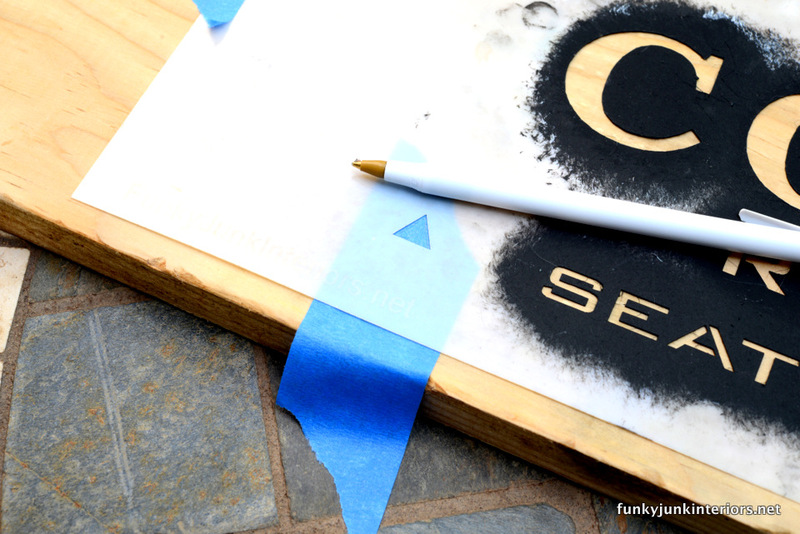 I can,t wait to try my new stencil. Hope it comes out as well as yours. So, the boards are not permanently attached to each other? Hi Christy, no they aren’t. They are still two boards simply attached to the wall. If I unscrew them, they’d come off as two boards. I didn’t feel a need to attach them together if they were just going on a wall as such. 🙂 How cheater builder easy is that?